Gear up for “Shark Week” in style on August 12 with the appropriate footwear. TOMS’s new, vegan-friendy “Shark” slip-on, a collaboration with the University of Miami’s R.J. Dunlap Marine Conservation Program, features silhouettes of the carnivorous—and threatened—beastie on the lining of each shoe. Proceeds from the sale of the shoes will go towards protecting sharks and their marine environment. And, like always, with every pair your purchase, TOMS will give a new pair of shoes to a disadvantaged child. Gear up for "Shark Week" in style on August 12 with the appropriate footwear. 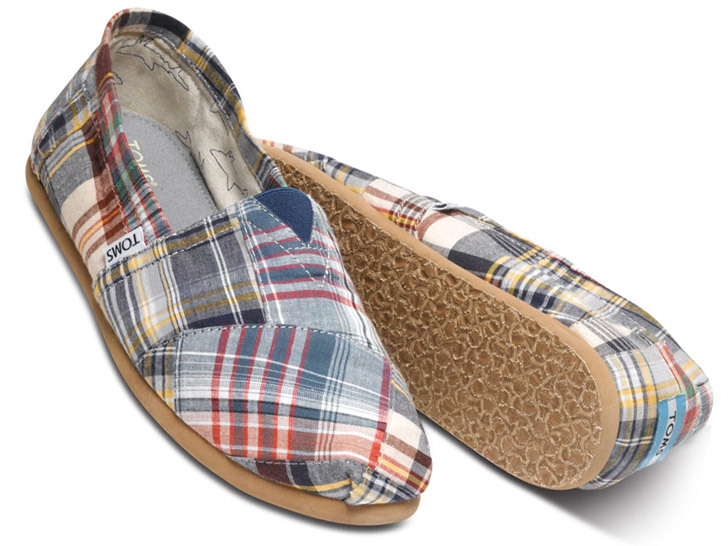 TOMS's new, vegan-friendy "Shark" slip-on, a collaboration with the University of Miami's R.J. Dunlap Marine Conservation Program, features silhouettes of the carnivorous�and threatened�beastie on the lining of each shoe. Proceeds from the sale of the shoes will go towards protecting sharks and their marine environment. And, like always, with every pair your purchase, TOMS will give a new pair of shoes to a disadvantaged child.